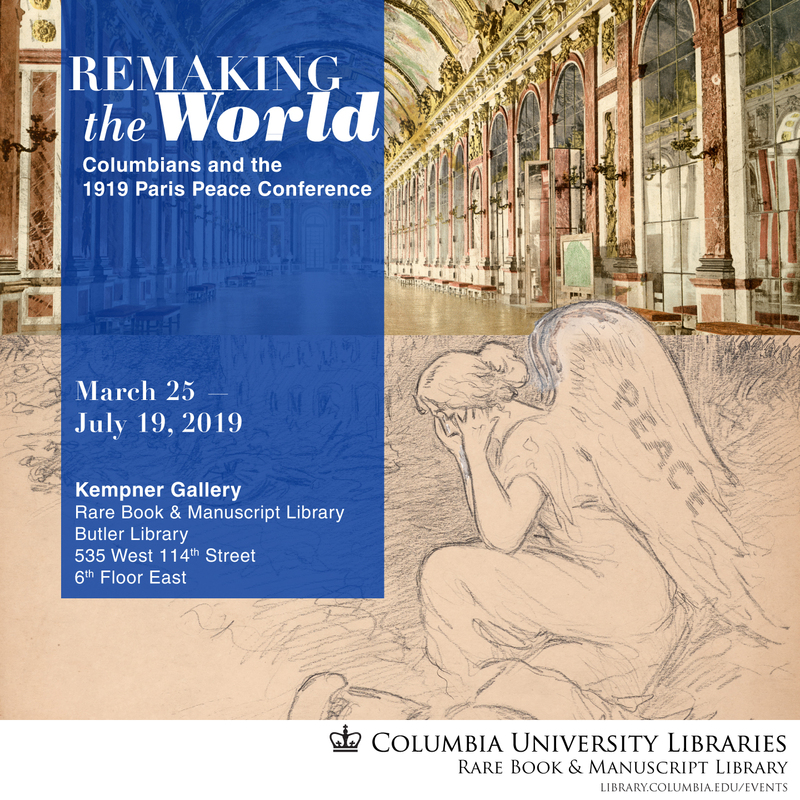 If you’re enjoying PBS’ Women, War and Peace series, stop in to the RBML for our current exhibit, Remaking the World. The exhibit explores Columbia University’s connections to the 1919 Peace Conference. 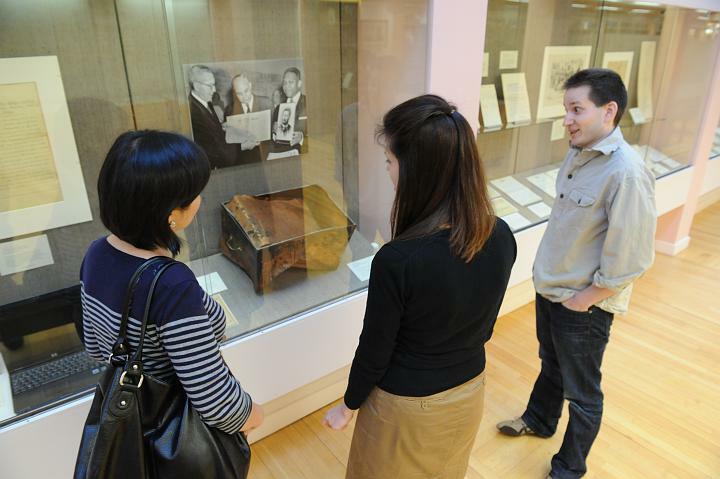 To be specific, the exhibit explores the role of men deemed significant to The Paris Peace Conference, also known as the Versailles Peace Conference. 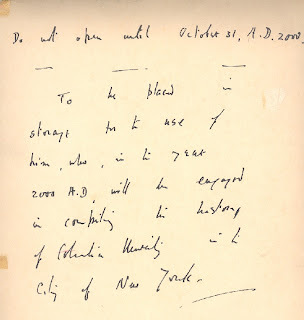 This entry was posted in American History Collections and tagged 1919 Peace Conference, Andrew Carnegie, Charles Richard Crane, James T. Shotwell, King-Crane Commission, League of Nations, Nicholas Murray Butler, United Nations, Versailles Peace Conference., Wellington Koo, Woodrow Wilson on April 12, 2019 by Columbia Rare Book & Manuscript Library. For an archivist, everyday is a potential journey to the center of the earth. Open a box—any box—and you are instantly transported to another place and time. In most cases the creator of those records did not intend for this to be the case. But every now and then you stumble across a voice from the past who intended for you to hear it. The package, I learned, was a 40 page observation on Columbia and its history sealed by one Roger Howson who, in 1948, was the University Librarian. Born in Overton, North Wales, and educated at Trinity College, Cambridge, Howson came to Columbia in 1922 as assistant librarian. 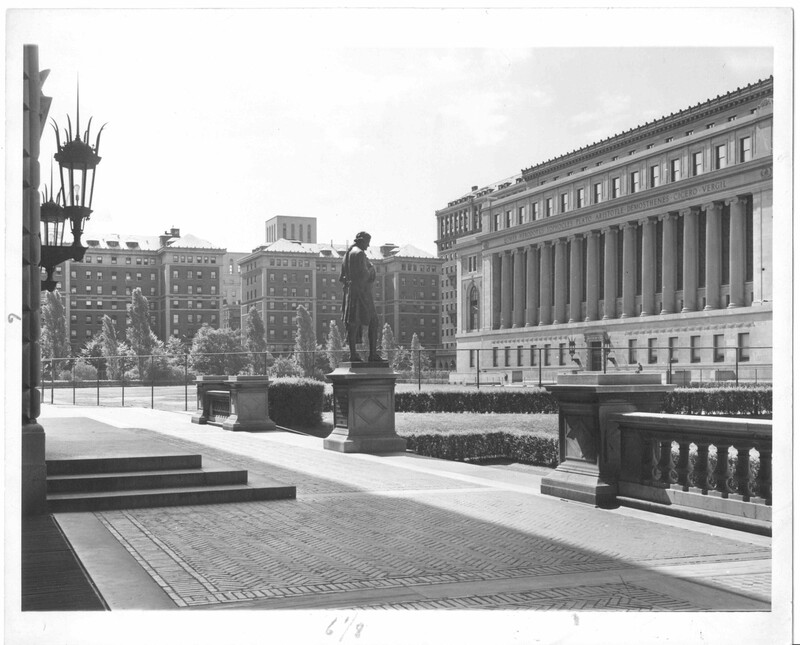 In 1926 he was named University Librarian and by the time he retired in 1948, Columbia was the third largest university library in the country with well over 1,450,000 volumes. He had witnessed plenty and had more than a few words to say about Columbia’s history. In his treatise, Howson recalls with good humor college spirit and student hi-jinx. Of sports he noted Columbia’s less-than-stellar reputation on the football field describing the school as the “graveyard of football coaches.” He wrote of the expense of the city, how New York “was generally more expensive than had been anticipated” for graduate students. Well, some things don’t change in sixty years. I am taking notes, Mr. Howson. I am taking notes. This entry was posted in Columbia University Archives and tagged discrimination, football, Nicholas Murray Butler, Roger Howson on February 17, 2009 by cl880.